We are officially halfway through our year of mission. It continues to be bittersweet as we are literally right in the middle of both feeling sad to leave the people here, but so excited to see our friends and families again! This month we have been able to witness some history making events here in southern Africa. We spent a week in Johannesburg attending meetings there. While we were we were able to witness the sadness of a nation at the loss of Winnie Mandela. The funeral and services took place while we were in Johannesburg and although we did not attend just being present and watching the news coverage was very impactful. Once back in Swaziland we were able to be here for the big 50/50 celebration in which King Mswati III celebrated his 50th birthday as well as the 50th anniversary of the country’s independence. This was celebrated by the King announcing the change of the country’s name from the English Swaziland to Eswatini. The celebration took place in Manzini where we live, but due to a big project deadline we were unable to attend. We did however step outside to see the planes flying over performing as well as the fireworks show. Life is Eswatini continues to go well. We spent a big portion of the month working to finalize the big project mentioned above which would be a great help to the whole southern African province if it were to be accepted. Please keep that in your prayers as Josiah especially has worked so hard from the time we arrived basically to try and make this a reality and it certainly hasn’t been easy. The kids have been out of school for the past few weeks due to their semester break so it has been quiet around Salesian High and we are missing them! 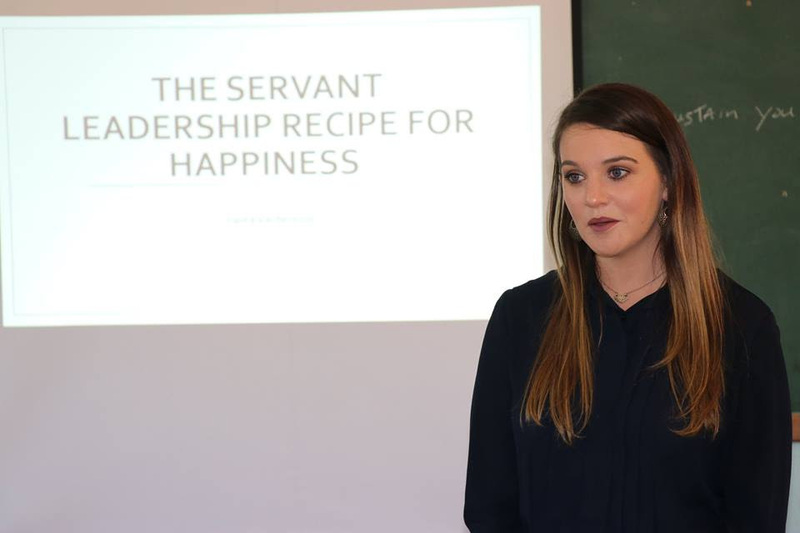 I was able to give a talk at Father Martin’s level two leadership workshops for approximately 76 students in which I spoke about servant leadership. Public speaking is not my strong suit, but I really enjoyed being a part of the work he is doing there. One of my visits to Hope House this month also resulted in the ladies there insisting I get dressed in full Eswatini attire for them. It was a lot of fun and they seemed to get a lot of smiles out of it! Unfortunately we have been having difficulty with phone chargers and our phones were dead meaning I don't have any photos! The ladies took a few so I will try to get them to share next month! 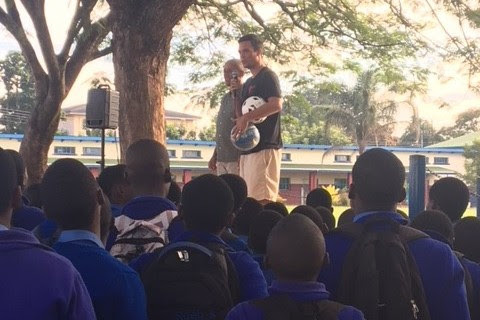 Due to the lack of basketball equipment and Josiah’s dedication to the game the principal of Salesian High reached out to some of the past pupils and asked for some basketballs which were presented to Josiah for the team at one of the weekly assemblies. We were able to use these for another game for the boys which went really well. We also got to host a group of youth from the Netherlands with a Salesian program called streetwise which consists of past street youth as well as volunteers from the Netherlands as they visit Eswatini and our boys from Salesian Manzini Youth Care. In other news being married on mission and living with a religious community has its challenges. We find it difficult at times to balance spending time with the community who we came here to work with and to find time for ourselves. However they are very understanding here and encouraged us to start taking some regular time away for ourselves. We took them up on that offer this month and spent a long weekend about 30 minutes down the road at a beautiful air B&B where we were able to relax and refresh. We’ve also been able to take a few very nice hikes where we ran into zebra and monkeys along the way! As we begin our countdown to coming back to the United States please continue to keep us, the Salesians, the people of Eswatini, South Africa, and Lesotho, and all those who are trying to help in your prayers!